To start off this routine I would use the Acne Facial Scrub while having a bath (after all makeup had been removed) and would then rinse it off using warm water. This product has a rather strong smell compared to my current face wash (Clique Foaming Sonic) and is much harsher on the skin. As someone who suffers from sensitive skin I found that this product didn’t irritate my skin, but would leave it dry. As this whole kit is based around drying out oils that contribute to break outs, I can say that this product does exactly what it says on the tin! On the days that I would use the Drying Mask I would do this step next, applying a thin layer on problem areas such as the nose, chin and forehead. Like the Acne Facial Scrub this mask also has a strong scent which some may find off putting, however, once applied the smell soon fades. Previously I had tried many drying masks as I suffer from oily skin in the mentioned areas, with these I found that within a couple of hours my skin returned to its natural shiny self! With this mask I have found that my face is left with a matte finish that last all day, I even was asked if I had makeup on! Due to the mask having such a strong smell and having long lasting effects I was worried that the product would affect my skin in a negative way… I couldn’t have been more wrong! This was definitely one of my favourite products within the kit and would recommend this to those who suffer with oily skin. Next in my routine is the Special Cucumber Lotion, one of my favourite steps! With the previous steps having drying effects, this step provides a hit of hydration and refreshment. With the weather slowly warming up this product has a cooling effect on the skin as well as leaving your face feeling cleansed. I found that this product works wonders with removing any stubborn makeup (of course not to be used on the eyes) and would work perfectly in any beauty routine/get unready routine! For those of us who suffer with large pores or those bumps that form under the skin, this next step is the one for you! With this product a little really does go a long way, to avoid using too much product and wasting any I lightly tap my finger on top of the product then dot a tiny amount of product on either side of my nose, forehead and chin (areas where I usually get under the skin bumps) and then work the product into my skin. After using the product for just two weeks I am able to notice a slight difference but feel that in order to see true results I would have to continue using this product for longer. Last but certainly not least, probably the brands most sought-after product, the Drying Lotion. Before purchasing the kit I had already used this product on the daily knowing that any imperfections that may arise will be gone within a week with a dab of this product! Just like the rest of the kit, this product was designed with the purpose of drying up acne; I also find that when I feel that a spot may be “brewing” by placing some of this product on the area can help prevent any break out! To conclude this review, I can confirm that this kit does help control acne by reducing the amount of oil produced as well as drying problem areas. However, I would recommend that you use a moisturiser after using this kit, for me personally I would use one in the morning so the products can do their magic, in order to prevent skin getting to dry and becoming damaged or irritant. Is this product worth the money (£75)? If you’re a skin care junkie like me, or suffer from oily and problem skin I would highly recommend this kit. However, if you do not want to spend this sort of money on skin care and would prefer to purchase individual items I would recommend the Drying Lotion, Drying Mask and Special Cucumber Lotion as I find that these products have had the biggest effect on my skin. 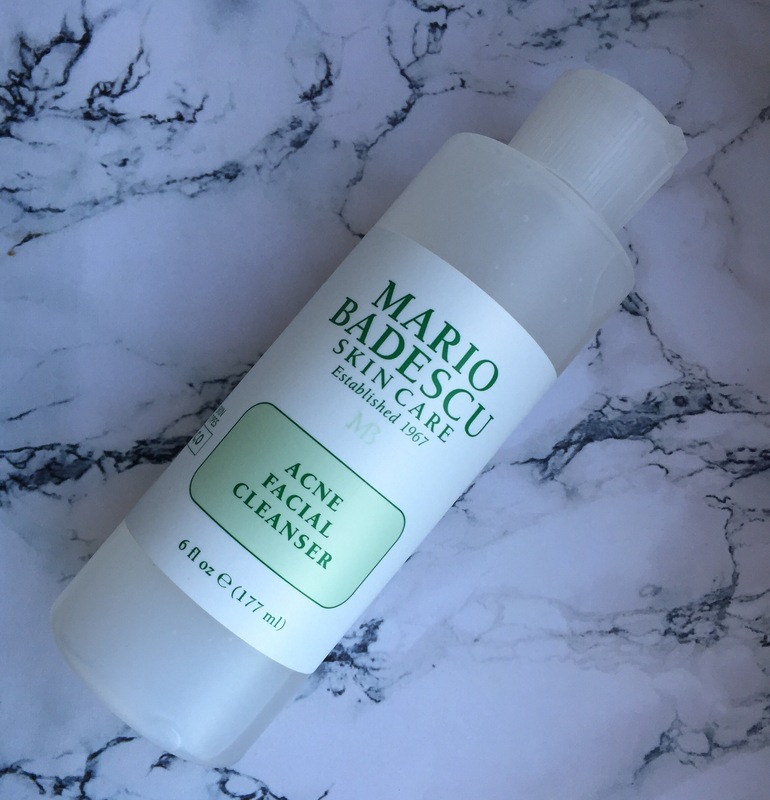 Hope you enjoyed this review on the Mario Badescu Acne Control Kit; let us know what you think below! Contact us either via Email or Social Media with any questions you may have or just fancy a chat, we always love hearing from you guys! We post every Wednesday and Friday, you can be notified by subscribing. P.S. We will be doing a giveaway at 1,000 followers on Instagram, be sure to follow us to stay updated!